The S50 range, made by Vitra, truly does live up to the Vitra name as being one of the world leaders in bathroom design. 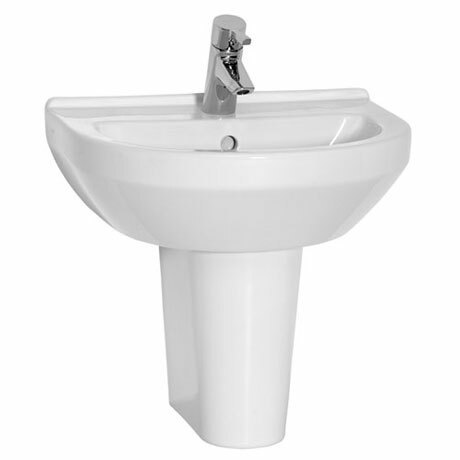 Available in 4 sizes, this 1 tap hole round washbasin and half pedestal encompasses everything that is contemporary, with its bold, vibrant, up to the minute design; it will, without a doubt, bring your bathroom to life. An extensive range of matching WC's in the same range allows you to create your ideal suite.